Are you tired of feeling scattered and strapped for time? Do you have a hard time making decisions that actually move you and your business towards something you want? Or are you constantly putting out fires and getting nowhere? It’s probably time for some one-on-one coaching with Sarah Finks so you can become the happy entrepreneur you dream of being. Most people don’t want to talk about the deep dark secret that all of us feel like we’re ready to quit our business at some point. The ‘business’ side of it gets too tough, too draining, too difficult. Sarah Finks understands what it feels like to hit that wall and she’s on a mission to make sure you fall back in love with your business and actually move it forward to become something amazing and self-sustaining. This e-course is all about support. With monthly training calls, a personal call with Sarah herself, and the constant presence of an accountability partner, you’ll never feel alone. There will always be someone to help you out and give you either a shoulder to cry on or a kick in the pants (depending on what you need). This program doesn’t just show you how to be a rock star entrepreneur but also how to boost your efficiency so you have time for yourself and your family. There’s no need to run yourself ragged if you can increase your sales conversions and prioritize your priorities. Then you’ll have time for all the things you love to do, including building your business. Ready to start loving your business again? Learn how to better utilize your time and energy so that you’re always working on building your business, not just putting out daily fires. 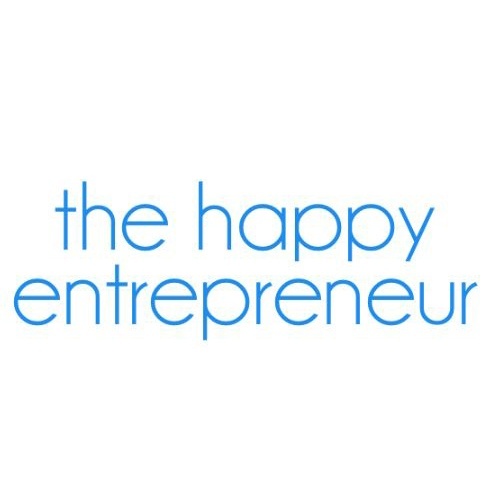 With Sarah’s program, The Happy Entrepreneur, you’ll learn how to manage your time to do the work you love to do and set aside the rest for your friends, your family, and your life! Stop feeling like there’s never enough time to get it all done. You really can be a happy entrepreneur.